Are branded podcasts the new branded blogs? Ten years ago, marketers rushed to create blogs in hopes the emerging medium would offer a new, more personal way to tell their stories, but marketers quickly figured out that building a loyal audience was hard—especially if your brand didn't have anything particularly interesting to say. 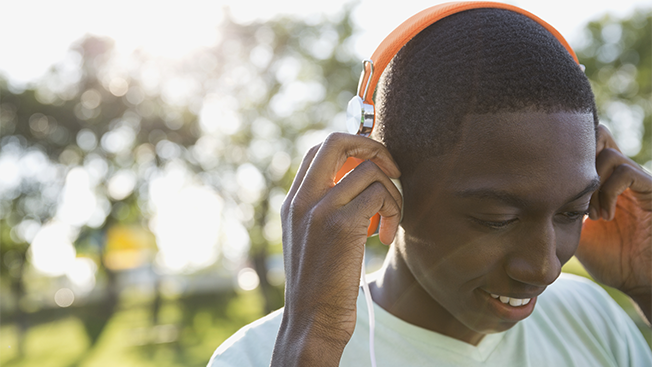 Now, thanks to the boom in popular podcasts like Serial and This American Life, brands including eBay, GE, Netflix and State Farm are betting on audio shows as the next great opportunity for customer engagement. And this time, wisely, they're not doing it alone. Brands are partnering with established podcast companies who not only have the skills and expertise in audio production, but also the existing base of popular shows that can be used to cross-promote branded content that generates a new source of revenue. "When we think about how ads sound on Gimlet, we want them to feel like they come from the world of the show," said Matt Lieber, co-founder and president of Gimlet Media, which produces a handful of shows including Reply All and StartUp. "No one wants to hear a 30-minute eBay commercial, but there is a large audience that's interested in a show about starting a business in 2016 and what the elements of that are." This summer, Gimlet Creative—the Brooklyn-based audio company's in-house studio—completed its first branded podcast series for eBay called Open for Business, which was a "curriculum-style" guide to starting a business. It landed in the No. 1 spot for business podcasts in iTunes when it launched in June. EBay declined to say how many downloads the series generated, but it reached more than 200 percent of its download goal, and the brand is in talks to create a second season with Gimlet. Each of the six episodes of Open for Business focuses on a different aspect of starting a business—like how to hire, or how immigrants can start a business in the U.S.—but don't expect to hear a typical 15- or 30-second audio promo plugging the ecommerce platform in the middle of the show. "We knew that we wanted to use a light touch with the eBay integration in order to draw a wider audience—and ensure that people didn't feel like they were listening to an ad—but stipulated that there be one connection to the brand per episode, in most cases, a true story of a small business that found success on eBay," explained Annie Lupardus, director of communications at eBay. The approach was only possible by giving Gimlet a lot of creative control to come up with the episode's themes, report the stories and write the scripts, with eBay ultimately getting the final approval on each episode. Branded podcasts "require a brand or a marketer that's confident enough to tell an interesting story that's relevant to their audience," noted Lieber. For example, the final episode of the series focused on the gig economy, the process of getting short-term jobs and payment from online platforms like Uber, Taskrabbit, Airbnb and, of course, eBay. "We did not start with the idea of doing a whole episode about the gig economy," said Nazanin Rafsanjani, creative director of Gimlet Creative. "I think our original idea for that final episode went though a lot of different iterations—'How do you know when it's time to quit your job and start your own business?' Then we were thinking, 'No, it's going to be about work-life balance' and it morphed and ended up being more of a look at the gig economy. We didn't go into it thinking, 'eBay wants to talk about the gig economy.' It was more like, 'What would be interesting and how does eBay fit into this idea?'" In exchange for being given creative control, podcast companies like Gimlet promise to create content that their audiences will love (Open for Business as a 4.5-star review average on iTunes). They also make sure the episodes don't sound like ads and get promotion on other network podcasts with built-in audiences. And if the first wave of so-called branded content a few years ago was about text articles and videos that subtly plug a brand, audio advertising requires even more discrete branding. Unlike a sponsored post or video that takes a few minutes to skim over, podcasts are little episodes of entertainment that require people to tune in for longer periods of time, making it harder for a brand's message to get through. "We're asking people to stay with us for 25 minutes, so it has to be good," said Rafsanjani. Branded podcasts also require big budgets and it makes sense why podcast companies including Gimlet, Panoply and Midroll Media are betting that sponsored content will be lucrative. There's even a company called Pacific Content that solely focuses on branded podcasts. Custom content on this scale can be costly (occasionally six figures), meaning that for smaller brands, it may not be sustainable beyond one-off or limited projects. While Gimlet Media is in talks to launch a second season of Open for Business, a similar branded-content experiment by FrogPants Studios—which produces popular shows about internet culture, movies and video games—ended in December when the contract with hardware maker Nvidia expired. "The creative bar for branded podcast is much higher than blogs or other online written and snackable content," said Shoshana Winter, chief strategy officer at Vizeum. "It takes a deeper and more professional investment in editorial planning, technology, content development and production. As a result, I don't think as many brands are going to be able to make that commitment, which should help maintain the overall quality control over the podcasts unlike branded blogs that can be produced quickly and easily and as a result become somewhat disposable." And without a deep understanding of the podcast ecosystem, "any marketers doing podcasts just because others are doing them will simply add to the internet wasteland of short-sighted marketing tactics," added Paul Feiner, marketing lead at education-based content marketing platform The Big Know. One issue with podcasts for marketing veterans is the lack of metrics compared to more traditional brand channels like digital display ads. Marketers are limited to only see how many people subscribed or downloaded a show and can't get a read on how many people finish listening to an episode or how long they listen. To work around metric issues, Slate-owned Panoply creates landing pages for brands on Slate's web properties that embed a podcast so that marketers can look at stats like page views and time spent on the site. "We're integrated with Slate where we can capture a listen on page and track that listener to see what they look like to serve them some messaging through look-alikes to capture more downloads," said Matt Turck, chief revenue officer at Panoply. "The challenge is, two-thirds of podcasts are played [through] iTunes and it might not reflect the listening habits of all listeners." That said, basic download numbers can successfully gauge how successful branded content is. Panoply has produced branded podcasts for Netflix and Umpqua Bank, but the company's most high-profile project was for GE's science-fiction series The Message, which is a story about cryptographers who try to decipher a message from an alien. Since launching last year, the series has been downloaded more than 5 million times—a rarity in terms of branded content—thanks in large part to it not focusing on GE as a brand. The technology giant enlisted the help of BBDO and Giant Spoon to create the stories and series. While the show is labeled as presented by GE, the brand isn't mentioned in the narrative and instead incorporates GE's sound technology into storylines. "We developed this idea of doing branded content, and I was like: 'Branded content has been done before. That's been going on for years,'" said Andy Goldberg, GE's global chief creative officer. "When we looked at the podcast space, we felt it was getting past the stage of [only] interviews with Serial-type podcasts happening and people tuning in over and over again. And it was a bit of a throwback in how old storytelling would happen, and I think that intrigued me a lot." The Message is a twist on the classic General Electric Theater program from the 1950s that was hosted by Ronald Reagan. Similar to that project, Goldberg plans to invest in ongoing audio content, with plans to launch another podcast this year. "I think it's sustainable if you have the right creative ideas going in and you know how to cultivate the audience through something that will resonate with them," he said.